Features 1. 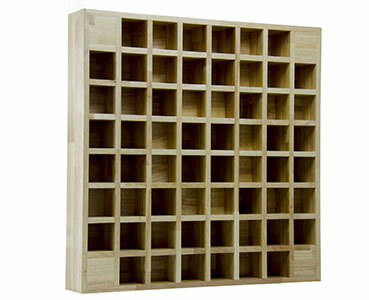 Sound panel baffles solid wood diffusion strictly according to the theory of QRD formula calculated sequence of positioning grid, its groove depth and width can be in all-round, multi-angle of incident cases produce uniform diffuse reflection. 2. Make human voice more smooth, high frequency become more loud with large hall effect. 3. Diffusion frequency range: 675Hz-2150Hz. Application: Opera Houses, Music Hall, auditorium, private theaters, recording studios, HIFI listening rooms, etc.